There are many misconceptions out there about consumer proposal credit. One we hear often is that if you’ve filed for, or are in, a consumer proposal, you have to wait until you’re discharged to start rebuilding credit. To put it simply – this isn’t true! A personal loan, a car loan, a home equity loan, and more are all great ways to rebuild credit during a consumer proposal. The problem is that most lenders won’t work with people who are in a proposal. We are one of the few who do. Borrow from a lender who reports to the Canadian credit bureaus. 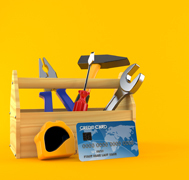 Since you are trying to rebuild credit – meaning create strong, new credit – it’s imperative that your lender help you do that. Your credit report is where your credit score is recorded. In order to improve your credit score, you need to establish good lending habits. If you own a vehicle, take a small loan against it (e.g. $3,000) from a lender that reports to the Canadian credit bureaus. Take the money from the loan and use it to get a secured credit card and use it to rebuild credit. Use the secured credit card to repay your car loan on time every month. Be sure to ask any prospective lender if they report the credit bureaus. Note: payday lenders do not do this. In these cases, the loans won’t help you rebuild credit and in fact might get you into more debt. At Prudent Financial, we help those in the middle of a consumer proposal rebuild credit. Contact us today to see if you’re eligible.